Weaving a water treatment plant into the city. 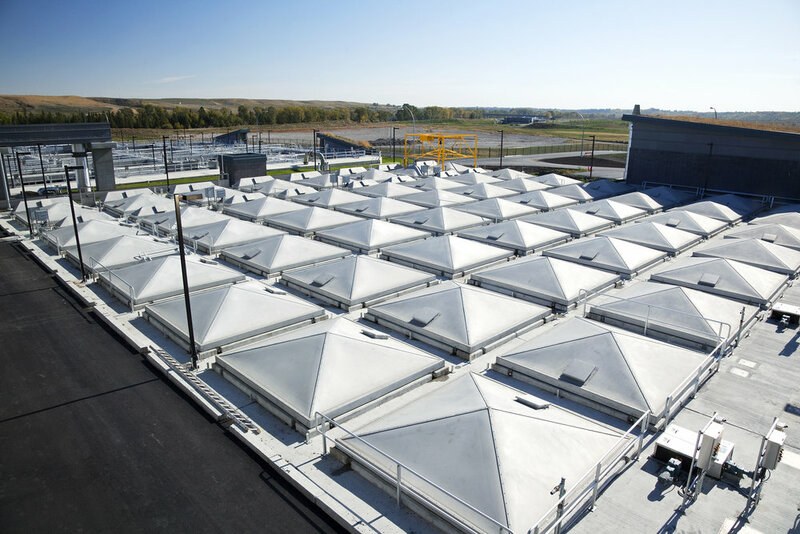 The Pine Creek Wastewater Treatment Plant was required to serve Calgary's growing population. 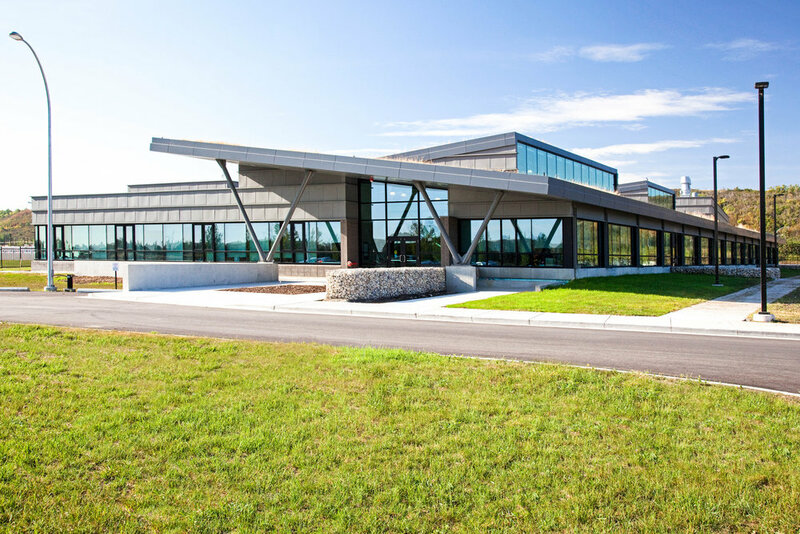 Being situated in a highly visible location in the river valley required a strategy for a coordinated, single design to address the “industrial” appearance of the plant without compromising the complex processes. The plant includes fourteen buildings connected by a system of underground tunnels. Most of the buildings are structures containing specific process-related functions or equipment. The design of the Pine Creek Wastewater Treatment Plant aims to integrate the buildings and structures into the natural and constructed landscape of the site through the use of natural materials, such as zinc cladding and river stone gabions. Careful placement of earth berms and green roofs provide naturalized visual screening to reduce the apparent size of the plant both from the river and the escarpment above.